Virtually all aspects of litigation are costly, risky and time consuming in every sense. If a case proceeds to a trial, the parties expend resources to risk uncertainty. Accordingly, litigants are looking for less expensive and more expedient alternatives for dispute resolution outside the courtroom setting. Alternative Dispute Resolution (ADR) fulfills this important and necessary need in providing economical, efficient and effective options for dispute resolution. While mediation or arbitration is recognized as commonly used ADR methods, there are no limits to the variable creative approaches available to resolve a dispute. 40 cases were defense verdicts at trial or were judicially dismissed. 16	cases were Plaintiff trial verdicts for less than offered at mediation. 21	cases were Plaintiff trial verdicts for greater than offered at mediation. The cases she has settled include personal injury, wrongful death, catastrophic injury, insurance bad faith, molestation, dog bite, municipal liability, trucking, school liability, professional malpractice, employment, civil rights, business disputes, premises liability, products liability, insurance coverage, disability insurance, toxic torts, commercial real estate, and construction defect matters. Ms. Langan has been a Judge Pro-Tempore for the Pima County Superior Court since 1994. Ms. Langan has also been a member of the National Academy of Distinguished Neutrals since inception in Arizona. In addition to her work in Alternative Dispute Resolution, Ms. Langan has been a civil litigator since 1991 with considerable experience in court, arbitration and jury trials. She served on the 2013 Federal Magistrate Merit Selection Commission and she has been recognized as Attorney of the Year for Law-Related Education by the Arizona State Bar for her dedication to community service. 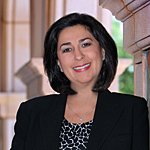 She has chaired and served as a featured speaker at numerous Continuing Legal Education and Judicial Seminars on Alternative Dispute Resolution throughout the country. She received her J.D. from the University of Arizona College of Law in 1990. Ms. Langan has an AV* Martindale - Hubbell Law Directory rating. * The "A" represents a "very high to preeminent" legal ability rating and the "V" represents a "very high" general recommendation rating. Such ratings are based on confidential opinions from a representative sample of local attorneys and judges. (Note: not all attorneys have been rated by Martindale-Hubbell).